Santa making an appearance at your next party? Dazzle your guests and fill your little ones with wonder with Santa�s Gold Premium Throne! 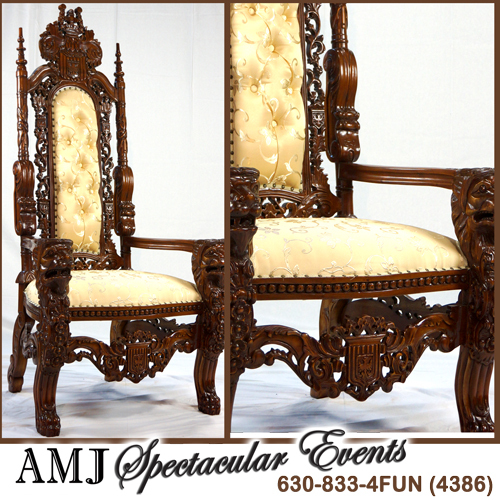 Telling Santa about their holiday wishes will be even more magical with this ornate throne! 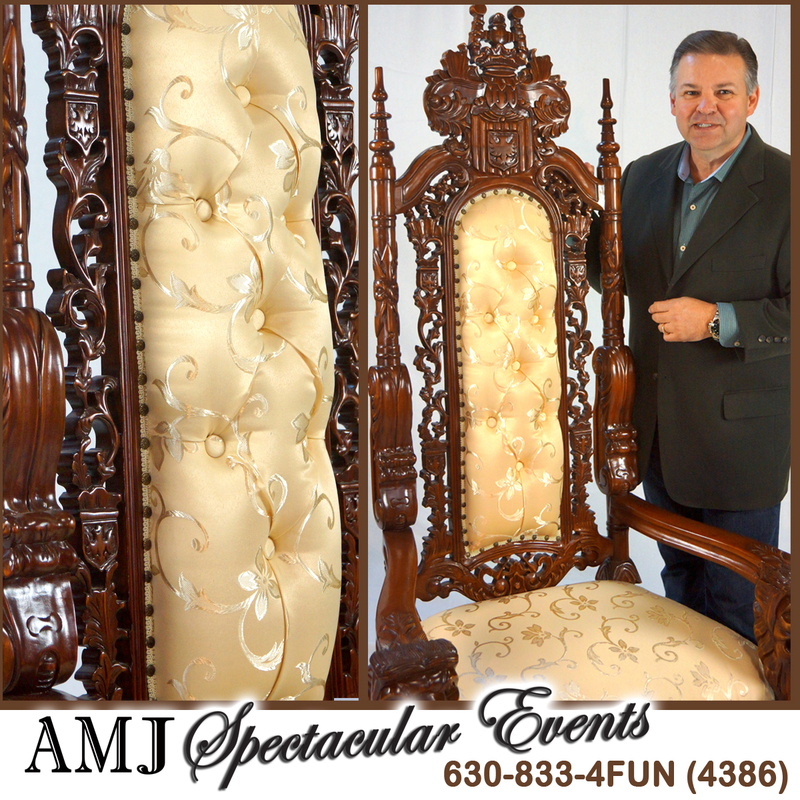 Whether you are using it as a photo prop, a holiday party decoration, or for the jolly man himself, our Santa�s Gold Premium Throne is the perfect addition to your next holiday gathering. Let AMJSE take care of all the work - we will deliver, set-up, and take down your sleigh, so all you have to do is enjoy! We have everything you need to make your holiday party magical for all your guests. From Santa costume, to his magical sleigh, to his over sized chair, we offer all the rentals you need to make a visit from Santa a reality for your little guests! We also offer in the moment photo service so your guests can take home their color picture with Santa! This is the perfect Santa's Throne for rental during the Christmas holiday season. 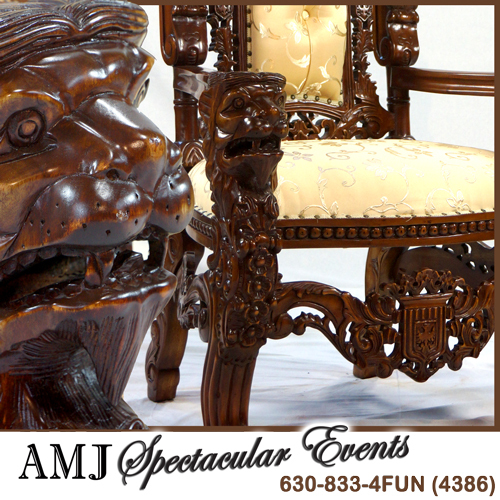 Available for rental for your Holiday event or for the whole season. They do rent out quickly so please book as early as you can. Santa Clause Christmas Throne ideal for taking pictures with Santa.